Alison’s portfolio of events includes religion and conflict, countering violent extremism and peacebuilding. She is currently working on the Wilton Park Inclusive Citizenship Dialogues in the Middle East and on Powering the Future: the Wilton Park Dialogues on youth, focussing on how young people can become resilient and thriving citizens in a challenging world. 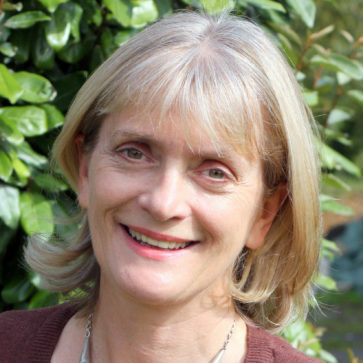 Alison brings over 20 years experience of working in the media to Wilton Park. She has presented major television and radio programmes for the BBC from ‘Sunday’ to ‘Woman’s Hour’ and was Head of Religion for the BBC World Service. She specialised in ethics and the role of religion in conflict and peace building and has worked and lived as a journalist in Ireland, Africa and the Middle East covering the intersection of religions and politics worldwide reporting from Sarajevo to Belfast, from Beirut to Jerusalem. In 2007 she joined ‘The Alliance of Religions and Conservation’, an international charity founded by HRH Prince Philip to assist the world’s 11 major faiths to develop key environmental programmes and partner with secular organisations including the World Bank, the UN, USAID and national governments. With ARC, Alison was Director of a sustainable agriculture and food security programme in sub Saharan Africa and a global programme on climate change and sustainable futures in pilgrim cities. She remains Executive Producer of a weekly ethical and religious discussion programme, ‘Something Understood’ on BBC Radio 4, and presenter of a podcast on ethical issues. Alison studied English Literature and Language at Lady Margaret Hall at the University of Oxford.